Making a home handicap accessible is not as challenging as many assume. You can greatly enhance the safety and comfort of your living space with the proper planning, materials, and strategy. Here’s a look at a few tips that will make the home modification process as smooth and effective as possible. 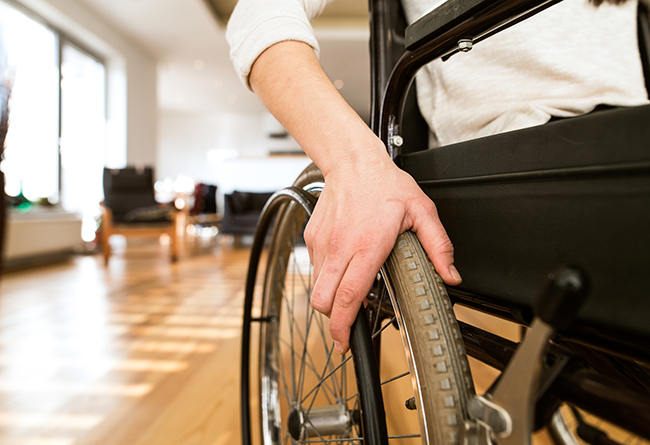 A home with overly thick carpet and rugs will prove quite difficult for a person in a wheelchair to maneuver. The same is true of those who rely on walkers to move around the home. Replace thick flooring with thinner flooring and your home will prove that much easier for the handicapped and elderly to traverse. The width of each wheelchair is different. There is a chance your wheelchair or that of a family member will pass through your door. However, it might be a tight fit that proves quite uncomfortable. If the wheelchair can’t be easily maneuvered through the doorway or simply won’t fit, the doorway must be widened. Cabinets positioned in high spaces are quite difficult for handicapped individuals to reach. Place everyday items like towels and toiletries at accessible points in the bathroom. Dishes should be placed in lower kitchen cabinets and other easily accessible spaces. If your home has a step-in bathtub, there is a good chance an accident will happen. Convert your bathtub to a walk-in shower or a space that is wheelchair accessible. This conversion will prevent potentially fatal falls. It is also possible to add a bench seat in the tub for even more support. Install a threshold ramp to the doorway and it will be that much easier for those in wheelchairs and others with mobility challenges to access the home. Consider converting your stairways to ramps to facilitate entry and exit. You can opt for a fully customized ramp or a low-threshold ramp. Grab bars are a seemingly minor addition to the bathtub and space by the toilet yet they can make the difference between safety and a nasty injury. Do not attempt a DIY (do it yourself) installation of grab bars. Many such cheap grab bars end up falling off, sometimes causing injury. Opt for grab bars that are professionally installed so you or your loved one can rest easy knowing the grab bars will hold strong when ample pressure is applied. Add a riser to the toilet for extra height. This elevated position will make it that much easier for those who have issues with bending over. Even the slightest mistake can have a major impact on the accessibility of your home. This is precisely why it is so important to plan your home modification in as detailed of a manner as possible. Implement the proper approach from the start. Sweat the small stuff now and you won’t have to redo the retrofit. This level of precision will ultimately save you plenty of time, money and effort. When in doubt, do not hesitate to lean on the professionals for a flawless install. Ally with a professional and you will find just about every portion of your home can be properly modified to suit your mobility limitations or those of a loved one.